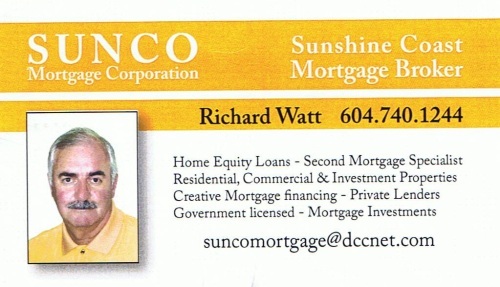 This is a Sunshine Coast BC directory of Gibsons Mortgage Brokers and Institutions. All located in the town of Gibsons BC. If you are looking for a mortgage broker, mortgage consultant or institution in another Sunshine Coast BC community, be sure to check the other Service Directories from the home page. Mortgages and loans are also offered through banking institutions, be sure to check under 'Banks' in the Gibsons Business Directory.